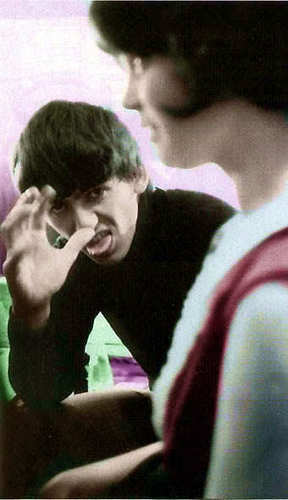 Funny face. . Wallpaper and background images in the George Harrison club tagged: George harrison. Can't help but laugh. For some reason, this pic reminds me of the old Kids in the Hall sketch where the guy went around saying, "I'm crushing your head! I'm crushing your head!" Roflmao.